Like it or not, the "Martha Scene" in Zack Snyder's Batman v Superman: Dawn of Justice has been a bone of contention with moviegoers (and rightfully so). Now listen to Geoff Johns, an Executive Producer on the film, and Diane Lane, the actress who portrayed Martha Kent, discuss the pivotal moment. "The movie uses a great unifying thing, right? Martha," says Johns. "They both have a deep connection to their parents, whether their parents are alive or dead. And that one word 'Martha' I think is a really cool connection. They share that, and they obviously share a lot. Because even despite their differences, at the root of it all, they are allies and friends." Lane added, "Superman and Batman certainly entered the superhero business from opposite roads, yet they have similar histories. There's the loss of your original family, so they're both orphans. And I don't think Batman sees Superman as human until he realizes that he has mother. And I think, when Batman makes the decision to rescue Martha, Superman's mother, in a way he's redeeming his own sense of powerlessness he had when he could not save his own mother." To build up to the "Martha" moment, Snyder began the film with a flashback to Bruce's parents, Thomas and Martha Wayne, getting murdered. Knowing that her name would be crucial to the plot later in the film, Snyder had Thomas say it with his last breath. I give high-marks for how well that scene was executed. At no point did I believe that name would come back up, helping to defuse the fight between Batman and Superman. 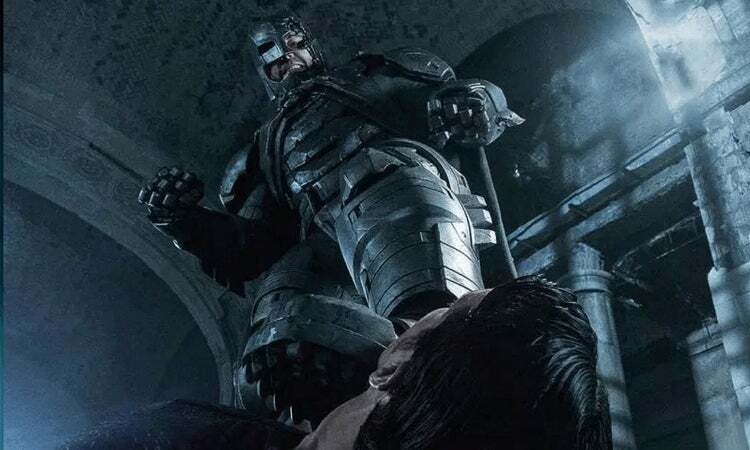 However, when the name is brought up again when Superman, who is in a weakened and delirious state, says the lines "You're letting them kill Martha" and "Save Martha," we're left with an unsatisfying resolution to the Batman-Superman fight, and much of the blame goes to how poorly the namedrop is executed. First and foremost, why is Superman calling his own mother, Martha? Yes, as I said, he's delirious, but there are much better and subtler ways of bringing up that name. All you had to do was have Superman say some variation of "mother" before bringing up "Martha." If he said "You're letting them kill my mother" and "Save my mom," the mere thought of this alien having a mother, who is on Earth and in danger, would be a sufficient reason for Batman stopping in his rage-fueled tracks. Then, with his foot still planted on Superman's neck, Batman could ask who his mother is and that would allow the name "Martha" and Bruce's "Martha" flashback to be brought up more naturally. With all of that said, I choose to look past the "Martha Scene." Aside from that hiccup, the script Chris Terrio wrote, based on the Ultimate Edition, is rather brilliant. Batman v Superman: Dawn of Justice is now available on Digital HD and Blu-ray.